Now, I cannot for a single second think why someone would want to do this, but nevertheless, I need to share information with you regardless of whether I agree with it or not. 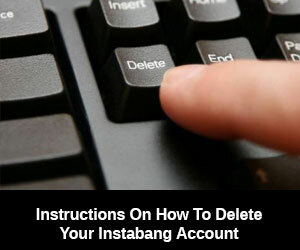 Today I’m going to share the exact steps that you need to take should you care to cancel your Instabang account. Having spent most of my time using the Instabang dating site, I cannot for the life of me think as to why on Earth anyone would cancel their account. If it’s not broken, then why fix it. That’s simply my philosophy and it works like a charm. Now that I got that out of the way, it’s still my duty to share everything I know about Instbang, down to canceling and deleting your membership. Simple as that and I’ll do it. Here’s exactly what you need to do if you really want to cancel your Insta bang dating membership. This dating network does everything you could possibly think of to share what you need to know about using the website. There are some simple rules to canceling your membership. If you’re a paid member with silver or gold status, then you must give the website a 24 hour notice if you wish to cancel your account. What that means is you cannot expect your cancellation to take place within 24 hours of your renewal then the cancellation will take place in the next billing period. Please be sure to give them 24 hours notice minimum if you truly wish to cancel. If you check out the homepage you’ll notice how I speak so highly of the customer support team. If you’re looking to cancel your instabang account, here’s what you need to do. 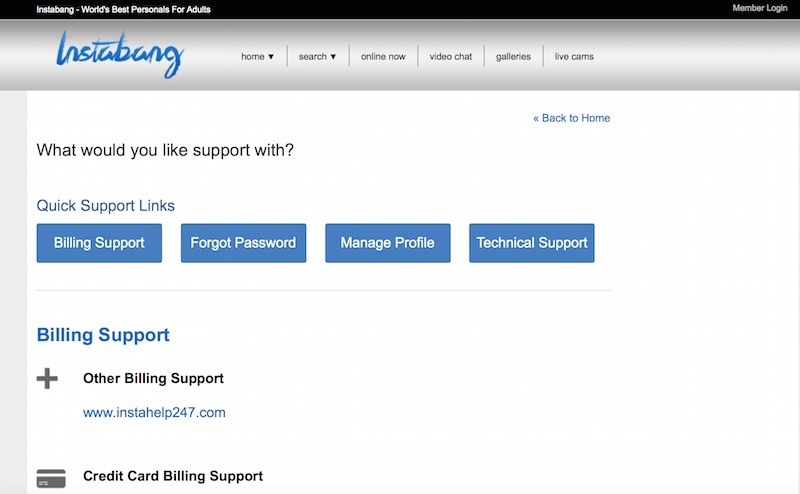 First thing you need to do is log into your instabang.com account. You’ll then need to click on the dropdown link called Account Settings. This should redirect you to another page where you’ll see a checkbox and text that states “Make My Profile Inactive.” This will confirm that your account has officially been named inactive. That’s all you need to do in order to make your account inactive. Now it’s time to cancel your membership. Doing so really couldn’t be any easier. When it comes to canceling your paid membership, all you’ll need to so is contact customer support. That’s the way that most people cancel their billing. You can either reach out to the customer support department or you can contact the billing company that’s in charge of processing your credit card. More than likely, the processing is going through CCBill, Segpay, or Epoch. That’s all you need to do and trust me, you’ll likely NEVER need to do that considering the dating site works better than any that I’ve used.